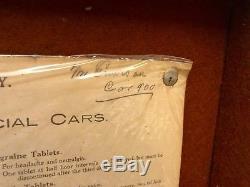 This is a ONE-OF-A-KIND piece of medical and railroadhistory! Should probably be in a museum but decided to sell it. My late Grandfatherwas an executive for the B & O Railroad from which he retired in 1977. 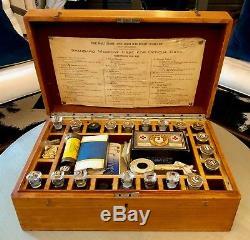 Hewould travel using an Executive Car and this Medical Kit was in that car. Itwas given to him upon his retirement. When he passed awayit was passed down tome. 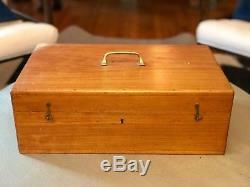 The solid wood box with hand-made brass hardware measures18 L x 11 W x 6.25 H and is in good condition. 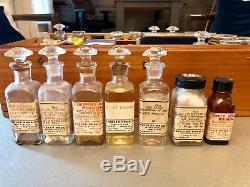 The antique kit contains thefollowing. 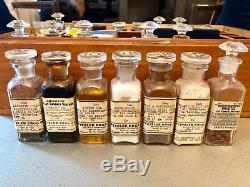 21 Medicine Bottles with original medications inside. 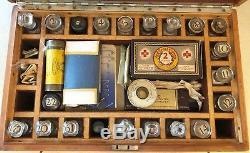 Aromatic Spirit of Ammonia Spetzler Drug Co. Quinine Sulphate 2 gr Capsules (Spetzler DrugCo). Aromatic Fluid Extract Cascara Sagrada. 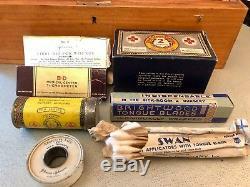 THE B & O Railroad Company Stamped FirstAid Supplies. 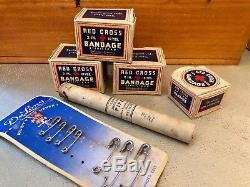 Red Cross Bandages x 4. 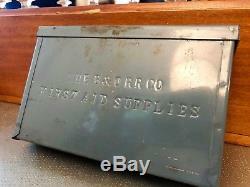 Red Cross Adhesive Plaster in metal tin. 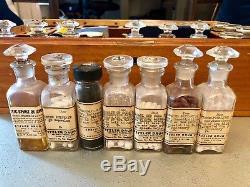 Perfect Mustard Plaster by J & J. DeLong Safety Pins (Various Sizes). 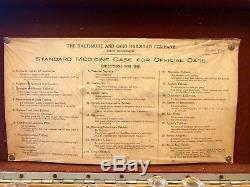 The item "B & O Railroad Medical Kit ONE OF A KIND Railroad & Medical History" is in sale since Thursday, December 13, 2018. 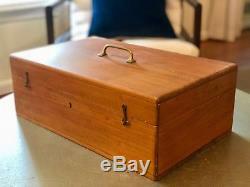 This item is in the category "Collectibles\Transportation\Railroadiana & Trains\Other Railroadiana".yh0ht" and is located in Atlanta, Georgia. This item can be shipped to United States.